Now those of you that follow this blog will know that I don’t normally do this. I am not one for bleating on about “how to” and “what you can learn from a best-selling writer“… etc etc. 1. I am no expert and am still learning every day. 2. The writing/publishing universe is FULL of self-righteous blog posts, tweets, books and pages of this ilk. I mean, let’s face it, if I had all the answers, I wouldn’t be blogging about it now would I? So you’ll be pleased to know that today will be no different. This isn’t a blog about guaranteeing you overnight success as a writer or publisher. If that’s what you want, then please (I mean, seriously, please) look elsewhere. No, this is a blog post about how we can learn from one of THE most successful singer/songwriter/performer/actor/writer/movie producer/director/record label owner/fund raiser/fashion designer and style icons of the last quarter of a century. Oh and did I mention singer? Yep, the Queen of pop (how long ago was she given THAT crown) herself, the mother of re-invention and bouncebackability, Madge/Madonna/God. So who’s that then? I hear you cry? Why, when we are talking about a woman who is now worth a reputed $320 million (yeah, and the rest!) have I stuck a picture of some random nobody in this blog post? Erm, nope, that IS Madonna. Albeit about 35 years ago, but it is her. Ok, if you look again, you can tell it’s her, but you get my point. Today, tickets to her latest and NINTH world tour go on sale to the general public. Let’s see how long it takes for them to sell out shall we? I wonder how many pre-orders for MDNA, the new album have been taken already? How many people watched the Super Bowl half-time show? Can I be a dollar behind the t-shirt sales income when she goes on tour? Can I? Please? I tell you what, scratch all that, just gimme one tiny molecule of MDNA. Just one little, microscopic strand of it to replicate. I am sure that if there was a way to bottle it up or sell it as an implant, she’d have found it, being the business-genius that she is, but unfortunately, for the rest of us mere mortals, all we can do is learn from her; learn from the best. Now, I am not suggesting that you should all fall in love with her and start ripping the bottoms off your tights and blasting your under-arms with upturned hand dryers in train station toilets, that would just be downright silly (come on, admit it. How many girls of the eighties went through the ‘dressing-like-Madonna-in-desperately-seeking-susan-phase’?) but what I am saying is: follow her lead. Her new film, W.E. was released a couple of weeks ago so there were TV show interviews, appearances at the awards, magazine covers and articles and general, all-round red carpet treatment hype, but Madge had been at it WAY before that promoting it. She began hitting the film festivals as far back as this time last year, selling the concept and basically flogging the rights to the highest bidder. And why not? 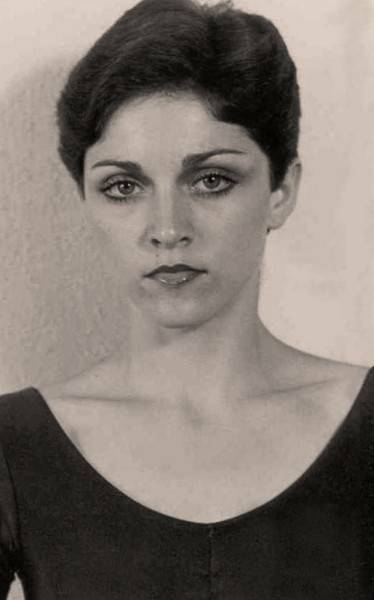 Madonna had spent three years of her life on this project. She co-wrote it, she directed it and oh yeah, guess who produced it? You got it, Madonna’s OWN film company, Semtex Films. It promises to be one of her greatest (movie-related) achievements so far. Aside from Evita, I think Madonna realised a long time ago that she would never win an Oscar for her acting, so what did she do? She went the other side of the camera. She knew that any film she was involved in would do m0derately well anyway, so she used her BRAND. Not a bad move eh? and great if you have the money to back it up. W.E. won numerous accolades at the recent award ceremonies for music and costume design. It looks like a great film and it’s fair to say, she won’t be out of pocket for it. It won’t have done her reputation any harm either. But what else did it do? Hmmn, let’s see. IT PUT HER BACK IN THE SPOTLIGHT. OK, she is never too far away from it, she makes sure of that, but musically, she hasn’t done a great deal just recently. Her last studio album was ‘Hard Candy’, waaay back in 2008. ‘Celebration’ (a greatest hits compilation) followed for 2009 and there was the ‘Sticky & Sweet Tour‘ afterwards, but as for releasing a new single, she’d been pretty silent on that front for a looooong time. Now everyone knows that she can release anything she likes, when she likes and people will buy it. She has a HUGE and die-hard fan base, but what about the younger generation of wannabees? A world tour is no mean feat and you can’t just rely on your fans from 20 years ago. There’s a new sound now, her style of pop isn’t mainstream anymore. I mean, hell, some of the kids/young adults buying music now probably haven’t even heard of her. So what does she do? Hmmn, how do I get the worlds’ attention the day I announce my new tour? I know, I’ll hijack the half-time performance at one of the biggest sporting events EVER and drag along some of today’s most well-known stars to support me, who, everyone recognises. Enter Nicki Minaj, Cee-lo Green and M.I.A. Genius. Talk about working social media to its fullest advantage. Not only was everyone talking about Madonna, but every time someone mentioned one of the other stars or their performance, guess who else got a shout-out? In fact, why not go the whole hog and get Ms. Minaj to feature on my new single? Hell, let’s get her to sing about me on it too. I don’t care whether you love her or hate her. You cannot deny how jaw-droppingly awesome that was. So, all of a sudden, Madonna has re-invented herself – again. It is what has kept her career alive and people talking about her for the past quarter of a century. It is why today will be CRAZY with people trying to get tickets for the MDNA World tour. It is why the pretenders to her throne come and go like unfunny court jesters, only to be wafted away with a barely-noticeable wiggle of those bony fingers. MADONNA is a business woman. She isn’t a singer or a song-writer. She’s not a film producer or actress, she isn’t even an author (in case you were wondering where this blog post is going, I know I am! ), although she has written a series of great children’s’ books, no, she is an entrepeneur. THAT is my point. (phew, I hear you cry! We got there in the end). What’s her secret formula? Her unique (M) DNA structure? SHE GIVES THE PUBLIC WHAT THEY WANT. She isn’t bound by genre. She can write and record what she likes. Just check out her back catalogue. She sees someone she thinks has potential in the music industry. What does she do? Beg the gatekeepers to give them a listen? Nope, she sets up her own record label. Maverick records signed Alanis Morrissette and The Prodigy. ’nuff said. When she first stepped onto the New York gold-paved streets at the age of 19 with $36 in her pocket, she couldn’t get anyone to take her seriously. What did she do? She learned the drums and formed her own band. The rest, as they say, is musical history. As writers (and digital publishers) today, in this current climate, it is no longer enough to scribble down 75,000 words and sit back, Patterson-esque style, whilst thousands of readers clamber to buy your books. Hello? News flash! You have to work hard. Damn hard. This is what we’re doing. We’re building a brand. We could have sat back in May 2011 when Sugar & Spice was selling 950 copies a day and riding high at #2 in the UK Kindle charts and plodded along with another book. Sugar & Spice has sold over 125,000 copies and is still selling 1000’s a month. It is no secret that we now have our own publishing company. MWiDP.com will be up and running in the late spring (it is live now in beta/development phase), as will our new digital bookstore, with a stable of over 35 new writers offering over 100 titles to EVERYONE, ANYWHERE in the world. We have just released our second short story anthology, Saffina Desforges presents…The Kindle coffee-break collection Vol 2. Number 3 is coming very soon, as is #4. Hopefully, Rapunzel will be out late spring and we are working on LOTS of other projects. We are building a brand. So you get my drift. Do the thing you want don’t wait for someone else. So that’s exactly what we’re doing. We’re writing what we like, what we think readers want to read. We’re helping other writers make it too. We’re sharing our experiences and building that ‘cloud partnership’ that Mark Williams (my co-writer and business partner) is always going on about, we are building our empire (ok, maybe empire is a tad optimistic, but ya hear me right?) and we’re getting as many books out there that link back to us as possible. A year ago, if someone told me that I would be a business-woman and that I would have tax returns to look forward to, I’d have swirled my index finger around in the air at my temple and smiled politely at them. Maybe a tiny little bit of your Madgerochondrial Deoxyribonucleic acid did fall my way after all. Now excuse me whilst I go and join the other many millions or so plebs around the world currently stuck in cyber-traffic trying to get their hands on a golden ticket for your show. I know my place. You know what’s crazy? I know a lot of people who othink I’m crazy to idolize Madonna…. *eyeroll* Maybe I should point them to this artical and say – see, this is what I’m tryaing to say but couldn’t articualte. Who knew the woman on the first tape I ever owned could be used as a role modle for this writing endeavour I’ve embarked upon. Good luck on the ticket purchase! Shall I let you into a TINY secret? I have Golden Circle tickets for the Hyde Park London show in July!!! I hate this word, but there really is only one for it on this occasion… SQUEEEEEEEEEEEEEEEEEE! Front row standing with all the celebs? Yes please! I have seen her 6 times now, in London & Paris, but this one… well! I shall take photo’s, don’t worry! You should put it on your bucket list! Haha, I’m no Madonna fan myself, but I massively respect what she has done with herself throughout her life – and, you’re right, she’s a great role model for that reason! I wish I had half her confidence sometimes … half her cash would be nice too, bahaha! If you look at all the pop-stars in the past 40 years, the one’s who we still talk about and listen to are the ones who reinvent themselves or still evoke energy and engagement with new generations of artists and listeners e.g. Bowie, Elton John, Jagger and even the late Johnny Cash. Madonna is no exception.